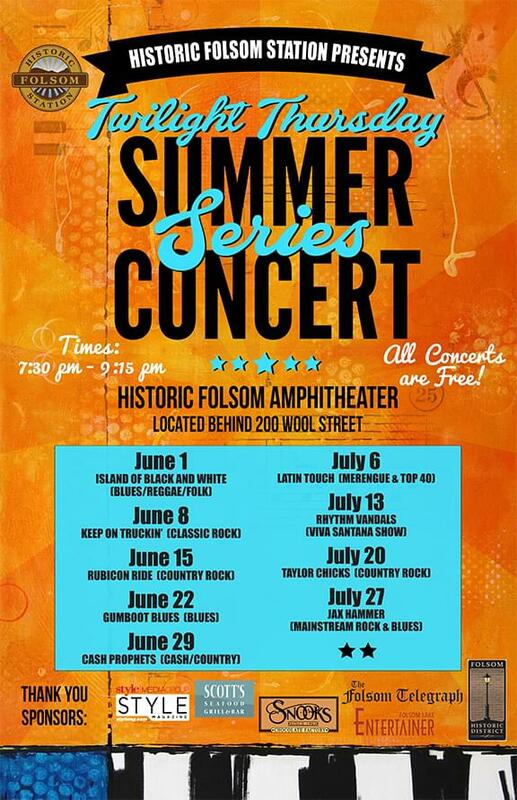 Grab your picnic, your low back chairs and your best friends and come on out to the Historic District amphitheater for our Twilight Thursday Summer Concert Series presented by Historic Folsom Station and the Folsom Historic District Association. We've moved the time back to 7:30PM so you can enjoy the beautiful sunset. The Historic Folsom Amphitheater is located behind 200 Wool St. Sponsored by Snook’s Chocolate Factory, Style Magazine, Historic District Association Folsom Telegraph & Folsom Lake Entertainer.